The Auburn Family supports our friends and neighbors in Tuscaloosa in the aftermath of Wednesday's tragic tornadoes. April 28, 2011 — The city of Tuscaloosa was devastated Wednesday by a massive tornado which roared through downtown and demolished one of the city’s busiest intersections. The tornado’s fury rendered the intersection of McFarland Boulevard and 15th Street, home to a number of restaurants, retail outlets and two malls completely unrecognizable. As of midnight Wednesday, Tuscaloosa mayor Walt Maddox confirmed 15 had died as a result of the storm and most observers expect the death toll to rise. In response to the devastation, Toomers for Tuscaloosa, a Facebook site dedicated to bringing Auburn fans together in financial and personal support for the citizens of Tuscaloosa was quickly formed. Within hours, more than 8,000 Auburn fans had joined the cause. 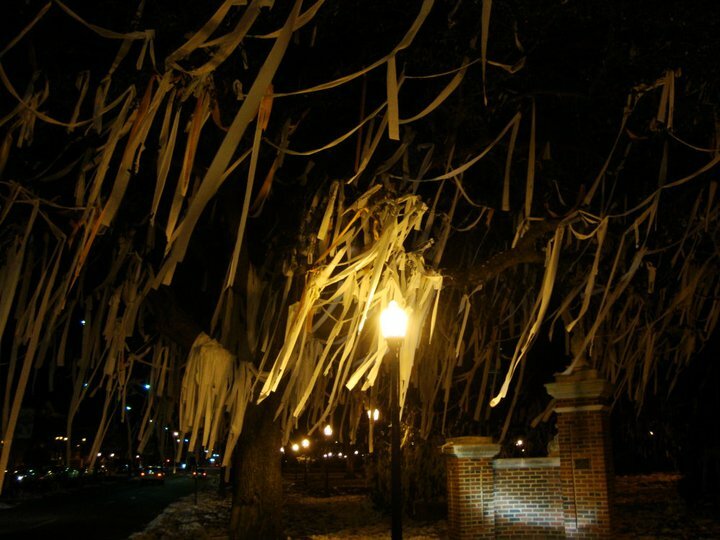 The Never to Yield Foundation applauds the immediate response from the Auburn Family and pledges its full support to Toomers for Tuscaloosa. We encourage Tiger fans and friends to join forces to assist Tuscaloosa — and all towns in the state of Alabama impacted by Wednesday’s deadly tornadoes — to recover. When tragedy of this magnitude strikes, it is comforting to know that we can put rivalries aside and support our friends, neighbors, brothers and sisters. Our thoughts and prayers are with those who were impacted by today’s storms. My AU family here in Huntsville is praying for the people of T-Town & all the great people of Alabama effected by todays tornados. God Bless them all. We are praying for all Alabamians. We are so sorry that this has happened. We are also praying for the entire South that has experienced these horrible storms. We definitely will contribute. While the intention is appropriate, I feel these efforts should have nothing to do with AU, University of Alabama, Toomers Corner, or football. 120+ people lost their lives across the state…This is Alabamians for State of Alabama. The intent was to get people together in a united cause and help the people in Tuscaloosa. 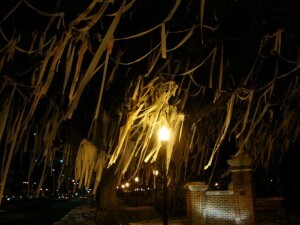 Since the inception however, Toomers for Tuscaloosa as helped not only Tuscaloosa but the entire state! It isn’t about football..it is about helping others! My son started the site and you’d be amazed at the wonderful people who have helped.. which was made a little bit easier due to everyone banding together… What have you done? Another thing.. it’s not just Alabamians helping Alabamians… there are countless people from other states sending money, and supplies of all kinds..it’s about People helping People. Is there a Toomers for Tuscaloosa website or mailing address where monetary donations can be sent? 3718 36th Street, Northport, Alabama 35473-2908. Making my check to Toomers for Tuscaloosa and marking it for tornado relief on the envelope. I hear what Brian is saying, but anything that gets people fired up to help is a good thing. If people can be convinced to donate and help because of their pride in their team, then how can that be bad? I am proud of my fellow Auburn fans (and yes, I have donated). Amen! Anything that brings people together to help one another is a good thing. It was simply a play on words because of the group that raised money to help Auburn after the Oaks were poisened.. My son thought that showed class and he wanted to help others. I’m so glad most people understand that it’s about helping people… the name was just to bring attention to the cause and get Auburn fans inspired and motivated to help. They have been working tirelessly since Saturday morning and the longer they are there the more needs they have found and tried to address all over the state.